Wheel bearings allow your wheels to rotate quickly with as little friction as possible. Over time, your car’s wheel bearings will lose effectiveness and could start to produce loud squeaking noises while you are driving. The wheel bearing damage can become worse, causing vibrations while driving and uneven tyre wear. When wheel bearings become worn and loose, or noisy they are sometimes difficult for the driver to diagnose. Many people don’t even realise that their wheel bearings are in need of repair until their mechanic suggests it. 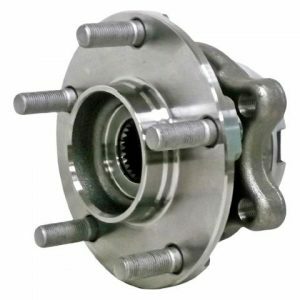 However, they play a crucial part in ensuring your vehicle drives smoothly and safely. If wheel bearings have too much play (become loose) or noisy they will most likely fail a Warrant of Fitness. Replacing your wheel bearings will extend the life of your tyres as well as remove annoying noises from your tyre area. At Grimmer Motors, we can quickly replace your wheel bearings for you, reducing the stress on your tyres and allowing for a quieter, safer drive. Book your appointment today to receive reliable, honest services.